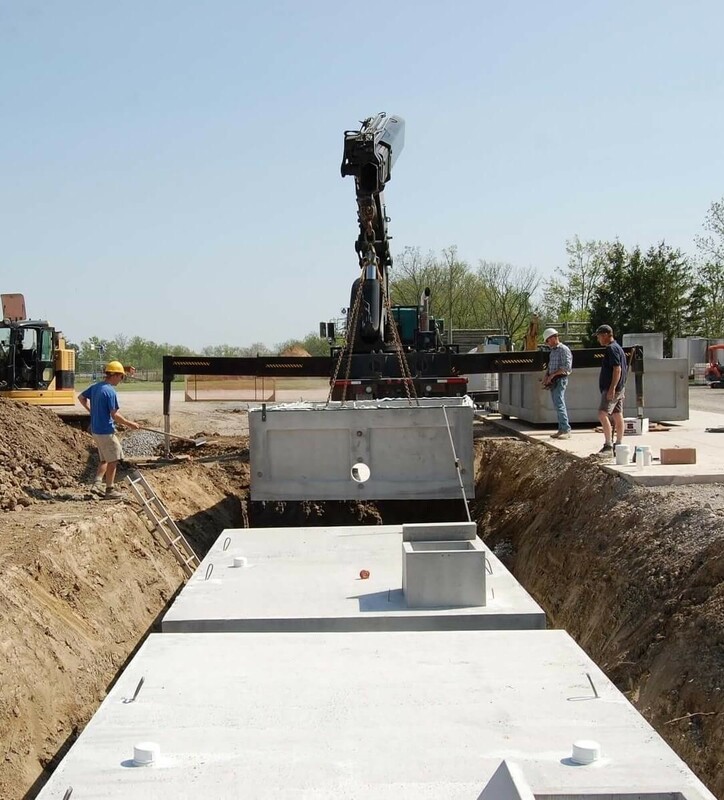 Sewage Holding Tanks are used where the installation of a septic system is not possible. Such locations may include very small lots, excessively rocky areas or environmentally sensitive locations. In some cases the presence of high water tables may not allow for septic field installation. All holding tanks are intended for below ground installation. If depth of excavation does not allow for complete burial, then additional fill should be placed around and above tank to provide protection from winter freezing. A visual and audible alarm must be installed to indicate a desired pump-out level that allows for continued filling for a period of time before pump-out can be accomplished. WCP holding tanks provide gasketed cast-inplace fittings on tank lid to facilitate installation of such hardware. WCP also supply’s an extensive line of installation accessories including alarm panels & controllers, float switches, piping, valves and fittings. -Flexible rubber boots with stainless steel clamps and/or gasketed PVC sewer fittings cast-inplace at tank fill and pump-out locations. -One ‘PolyLok’ plastic access riser is cast into the tank lid. Additional 6” high riser sections may be added if at or above grade access is desired. Each section is smooth walled, sealed and secured from movement by. Retrofit access riser kits are available for installation on existing tanks.